It was short and simple, but at least it was something. He was finally responding to my letter. “What happened to make you dance?” Heath appeared before my locker. I hadn’t realized I was doing so, but I looked down at my feet, and they were indeed taking little bitsy hops. “I’ll see you after school then,” I said. “Actually we won’t.” He smirked at my confused expression. “Because you’ll probably be with Marcus, and I’ll be in Art Club. Just make sure you two get a room before slobbering all over each other.” He waved a hand and walked away, leaving me to ponder that last bit. I reviewed the idioms and figurative language in my head briefly, before connecting what he meant, and my cheeks turned several shades darker. “Heath!” I called out, pouting, but he was already gone. It was so hard to wait for the lunch bell to ring. I couldn’t even sit still, much less focus on anything any of my teachers were saying. Finally, after what felt like years, the bell rang, marking the end of fourth period and the beginning of lunch. I was so nervous, not knowing what Marcus would say. Did he understand what I’d meant by giving him a gardenia? And if he did, would he want me to be his girlfriend, or would he reject me flat out? I had no idea how to read him. One moment, it felt like we had a connection, and the next, he went back to being aloof, walking to school ahead of us so he didn’t have to talk to me. Most of all, I couldn’t tell if he really liked me, or if I was just a means to his college tuition. I’d been rejected by people before—people who were only friendly because of Grandmother and her money, but now that I looked back, I couldn’t care less about those shallow phonies. Somehow, I felt Marcus was different though. I hoped I was right. Of course I’d be sad if he rejected my feelings, but I didn’t think I could endure it if I found out he didn’t want to be friends either. As everyone scattered to meet their friends and buy lunch, I found myself going against the flow of traffic to the band room, which was in the opposite direction of the cafeteria. Besides a few band geeks who lived, breathed, and ate there, I was pretty much alone. Then I walked to the backside of the building, and I was alone. I looked around for Marcus, but he was nowhere to be seen. Maybe something was keeping him. My phone beeped, signaling someone had just texted me. An unknown number. ICU. Walk 2 da left. ICU? Intensive care unit? No, it couldn’t be. I thought about that one for a second longer before realizing it stood for I see you. That had to be Marcus. But why was his number not listed on my phone? And why was he texting? He never texted. Even if he did, he wouldn’t have used such appalling grammar. In fact, we both agreed that text speak was debilitating our generation’s ability to write properly. I shrugged it off, thinking maybe he’d forgotten his phone and borrowed someone’s. As for the text message, maybe he was just in a hurry. There was a private alcove to my left, separating the band room from the portable bungalows. Those bungalows had been necessary to accommodate the overcrowding of students in the past few years. But they’d also conveniently created little niches, perfect for hormone-raged teenagers to hide and make-out. There was a whole private maze, narrow enough for two teens to fit front to front, but inconvenient for the overweight proctors to meander through. So even though making-out wasn’t allowed on campus, it was impossible to catch. “Marcus,” I called, peeping my head into the passageway. Nobody was there. How could he see me if I couldn’t see him? I thought I heard someone call out my name in warning, but before I could look behind me, someone emerged from the shadows. It was a figure entirely too chunky to be Marcus. I didn’t get the chance to identify him as someone else grabbed me from behind, and the body in front came for me, throwing a rag over my face. It was impossible to scream. As I struggled to breathe, the whole world went woozy before completely turning black. “I’m just curious, Mom,” I said. “Hmm?” She refilled my teacup with newly brewed jasmine tea. My parents and I had been talking for the past hour, sipping on tea and eating snacks. “What did you write in the last letter you told Emma to slip in my locker?” The question had niggled in my mind for awhile. But considering I was too far from school to retrieve the letter, it was faster to ask the source. I did know who it was. Why had I been so stupid? Emma had mentioned giving me a letter and then asked why I’d never responded. 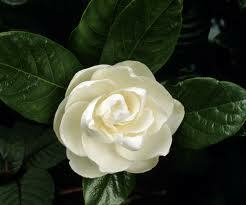 Plus, gardenias were the flower Emma and I shared. But I’d had no idea it meant secret love. Had she—dare I hope—made a love confession to me? I cleared my throat, trying to sound nonchalant. “It’s no big deal. I’ve gotten love notes before.” Back in the second grade, by some annoying girl who just wouldn’t leave me alone and told the whole class I was her boyfriend. “Not from this particular female,” Dad continued to tease. Dad barked out a loud laugh. My ears went bright red, and I marched out the door, muttering a complaint to God for giving me such immature parents. School was already out by the time I arrived. Most people had already left, but the band was still practicing out on the field, evidenced by the strains of maritime beats in the air. I made a mad dash from the car, across the grass, and to the main building, frantic to get my hands on that letter before the janitors locked up the school for the day. I didn’t wait to hear the rest of that sentence, as I was already sprinting towards the band room. Inside, the band geeks were getting ready to leave, having finally finished the practice session for the day. I pushed through them, frantically looking for Emma. “Hey, watch where you’re—“ one of the geeks protested angrily, but one look at who I was and he shut up, backing away. “Behind the band room, Marcus.” Heath had followed me. We both pushed our way to the back door, continuing our search outside. No one was there. My head turned towards the bungalows, where something shiny glinted from the sunlight. Walking over, I reached down to pick it up. A cell phone. Emma’s cell phone. I recognized the flower ornament dangling from the top. The screen had a broken zig-zag across it, a sign it had been crushed, probably by a foot during a struggle. But we both sensed something was wrong. We delved into our pockets for our phones at the same time. “I have twenty-three missed calls,” Heath said. His voice came out low and shaky. Heath held up a finger to quiet me. “Incoming call. It’s Stan.” His hands shook as he answered it. I could hear Stan’s voice, all booming and jumbled from the other end, but I couldn’t make out the words. Only Heath’s quickly despairing expression told me the news was not good. “We’ll be right there,” Heath said, and then ended the call. He turned to me. “Well?” I was anxious and impatient. “I have to get something from my locker,” I said. “I need it.” Without waiting for another reply, I turned and ran. The gardenia was all wrinkled and brown, and the letter was still tied to the string, untouched from when I’d last cast it aside to the back of my locker. But now I took both out as though they were the most precious items on Earth, and I held them close to my heart. It was far past midnight, but the house had finally quieted. Even so, I knew no one was sleeping. The day had been a huge disaster, filled with conversation after conversation with the police. They still hadn’t discovered for sure who had kidnapped Emma, but Mrs. Lockhart strongly suspected Emma’s own mother, Lydia Lockhart. For one, Lydia had come to the company several times recently, apparently back from France, and tried asking Mrs. Lockhart for a chance to see Emma. Mrs. Lockhart, having allowed Lydia the chance to speak with Emma in the past, had witnessed the unappealing consequences, and refused this time, knowing it would do Emma more harm than good to see the woman who only ever wanted to see her daughter if she needed something—most likely money. She’d never mentioned it to Emma either, wanting to protect her granddaughter. Lydia wasn’t allowed within a hundred feet of Emma without Mrs. Lockhart’s permission, but the last time Lydia had tried to see Emma, she’d come to the house. Mrs. Lockhart had the police arrest her, but she’d been let go since that particular weekend, we’d all been on that camping trip. After that arrest, Lydia had called Mrs. Lockhart, telling her she’d regret calling the cops, but after that, she hadn’t tried to see Emma again. It was a threat, but Mrs. Lockhart hadn’t taken it very seriously until now. Lydia was usually too lazy to keep pursuing the matter, unless she was desperate for money. Which, according to the bank records being investigated, she was. The cops were still investigating, but at least they had a lead. Meanwhile, I wasn’t so sure Lydia Lockhart was the only one involved. How would she have known to look for Emma at Orchid High School? Mrs. Lockhart hadn’t told anyone and not even on her deathbed, would she have told Lydia. No, someone else must have informed Lydia, and I thought I knew who. The only person outside of our circle who knew Emma’s secret was The Bulk, and he’d revealed before that his dad and Emma’s mom had an on-again, off-again relationship. I’d told my suspicions to the cops, of course, but I didn’t think they took me seriously, especially since I didn’t have evidence, and they told me anyone might have found out Emma’s secret without our knowing it. I lay awake, tossing and turning, worrying about Emma. How were her kidnappers treating her? If it was her mother, I hoped Emma wouldn’t listen to any of the debilitating nonsense her mom spewed from that dirty mouth of hers. After another hour of sleeplessness, I sat straight up, heading to my desk to sit. I toyed with the already dried gardenia, inhaling the scent that was still as strong as ever. My hands brushed over the letter that tailed it. I’d read Emma’s words about twenty times already. I could feel every emotion she’d had when writing it, and that made me feel so much worse for having been such a jerk to her these past few months. I read the letter again, marveling at the words she’d written, especially the part when she’d said she loved me, not in a heart-stopping sort of way, although that was there too, but because I was her friend too. Even if we never became romantically linked, she’d always love me with a soul-binding friendship that lasted forever. Those words played back in my head over and over, and I realized as I read them for the thirty-second time, that I loved her too. Not just liked, in an oh-she’s-hot sort of way, but loved. Because she was the friend who could see the part of me I didn’t want to show to the world, that I didn’t even want my three best buds to see. I couldn’t just sit here and do nothing while she was in the hands of kidnappers. But what could I do? This was so infuriating. I pounded the desk with my fist in frustration, and Emma’s cell phone bounced up before reconnecting with the desk with a clicking sound. I picked it up, immediately sorry that my anger had slightly abused one of my remaining connections to her. Although the damned thing was already totally fried. It was why I hadn’t handed it to the police. It wouldn’t be useful to them anyway. The phone hadn’t seemed that damaged when I’d first looked at it, so I’d tried to turn it on in an attempt to find out if Emma’s phone log could provide information about who had called her last. But no matter how many times I’d pushed the power button, it hadn’t turned on. Now I fiddled with it some more, turned it over, and saw that the backside, where the battery lay, had a huge dent in it. And that’s when it hit me. The battery. The rest of the phone had some scratches, but mine looked worse for wear and still worked fine. The battery, however, was a different story. I pulled off the cover that hid the battery from view, and sure enough, the battery had been split in two. So of course the phone hadn’t worked. If I could just replace the damn battery, the phone might just turn on. I was out of my room in a second and knocking on Heath’s door the next. He and Mr. Cantin had stayed the night to help Mrs. Lockhart through this ordeal. Heath answered right away, and I guessed he hadn’t been able to sleep either. Without question, he scurried over to his dresser, fidgeted with his phone, and handed me what I needed. By then, I heard footsteps coming into the room behind me and knew the rest of the gang had just arrived. “What’s going on?” Stan asked. “I think Marcus is trying to get Emma’s phone to work,” Heath said. Ten seconds later, I’d fit Heath’s battery into Emma’s phone. We all took a collective breath of air as I hit the power button, unsure it would help even if we could turn it on, but wanting to do something anyway. And the sound of the Verizon anthem played, and we breathed out. Quickly, I headed to the phone log. The last message Emma had received was a text from an unknown number. She was probably hoping too much that it was me, I thought to myself, feeling even more horrible. If only I’d read and responded to her letter earlier, she would have been thinking more like herself, more logically and realized an unknown number couldn’t have been from me. We gathered around him to see what he was pointing to. The same number was on his screen, only it wasn’t an unknown number. It was The Bulk’s. “The one she always forgets, and if she had it on her, we wouldn’t be in this mess?” Tony asked with a sigh.